Duke’s comprehensive $3.25 billion campaign, “Duke Forward: Partnering for the Future,” will support strategic priorities across the university, with a goal of raising $45 million for the Duke University Libraries. 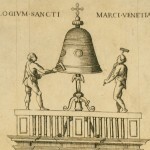 Angelo Rocca’s De campanis commentarius (1612) is a very special book on bells. We recently acquired a copy in honor of a very special ringer of them. 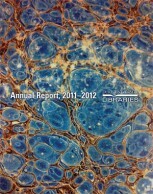 It isn’t often that librarians find out what happens to the people we help. 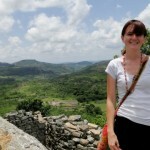 But once in a while we receive encouraging reports from the field. 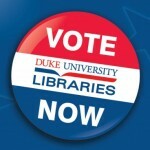 This past fall, we challenged Duke students to “be our Super PAC” and make a mock election video explaining why the Duke University Libraries get their vote. Then we invited people to watch the videos and vote on their favorite. It was the democratic process in action. 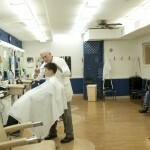 Duke has had a barbershop on its campus since 1912. David Fowler has worked there for more than half that time. Here’s the story of two alums who decided they wanted to pay tribute to the man who has been their family barber and good friend for many years. At a place like Duke, there’s always more to do, bigger plans, higher aspirations. As we look back at what we’ve accomplished this past year, we’re eager to show you what else we can do. 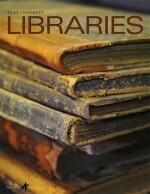 The articles above are excerpted from the Fall 2012 issue of Duke University Libraries Magazine.